Is there a formula for success at RecruitMilitary veteran career fairs? Yes! Some of our most successful exhibitors use a two-part strategy to differentiate themselves from the competition while maximizing candidate traffic and conversations. In this two-part blog series, we’ll show you how preparation before the event and solid strategies at the event will lead to interested veteran candidates and career fair success. As the face of your organization, your reps should be personable, outgoing, knowledgeable, and passionate about your company and its opportunities. They should actively work the booth and engage job seekers as well as other exhibitors, rather than waiting to be approached. Quite frequently, exhibitors help each other out at our events by getting to know the needs of other organizations around them and sending qualified candidates their way. But this won’t happen if your rep hides behind the table with eyes glued to a laptop or phone. This is also the perfect environment for a rep who comes from a military background. If you don’t have one, at least send someone who is curious about the military experience and can ask questions that draw candidates out and compel them to tell their stories. This is a great opportunity to tell the veteran community who you are - don't miss out on it! Reps should wear company gear, and tables should display banners, backdrops, and panels to attract job seekers to your booth. If you have veteran representatives, let job seekers know by identifying them as veterans through name tags or table signs. Having a list of open positions for which you are recruiting is ideal. At a minimum, reps should be ready to talk about general roles for which you typically hire. Handouts of open jobs are great takeaways and should include reference numbers in your ATS. Even better – having computers at the ready so veteran job seekers can apply for your opportunities on the spot. 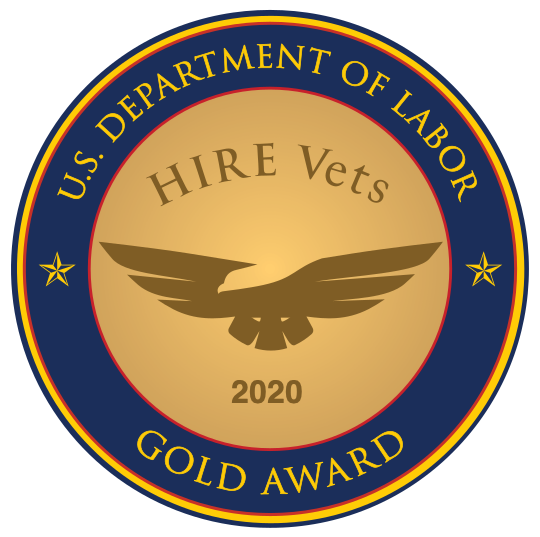 Draw more job seekers to your booth by getting the word out that you want to hire veterans and will be at a RecruitMilitary Veteran Career Fair. Tap into your company’s marketing resources and leverage its social networking tools to announce your participation in the event. Engage with your audience and find out what opportunities they are seeking. Our events are almost always held on Thursdays from 11:00 a.m. until 3:00 p.m. Spotlight hot jobs in your company on social media during the week of the event and let candidates know you’ll be looking to hire veterans for these roles. Advance preparation and audience engagement can reap big dividends at a RecruitMilitary hiring event.